“All round the Wrekin” is a common phrase used in these parts to mean “the long way around”… Well, we actually did go all round the Wrekin on our way from Haughmond Abbey to Wroxeter Roman City! 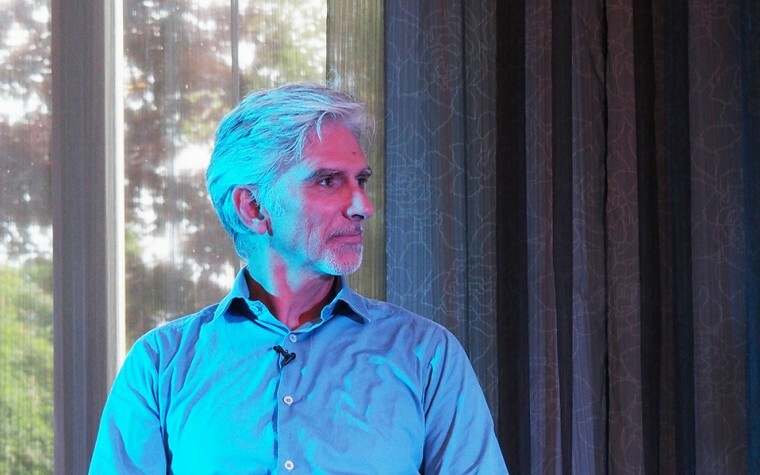 Don’t ask… It involved being in the wrong lane at a confusing roundabout, a trip the wrong way down the A5 and then up & down the lanes around the Wrekin. We did get to see some fantastic views of Shropshire though, and, just as we were about to give up hope of ever finding civilisation and Wroxeter Roman City, up popped the tourist signs and we were back on track. 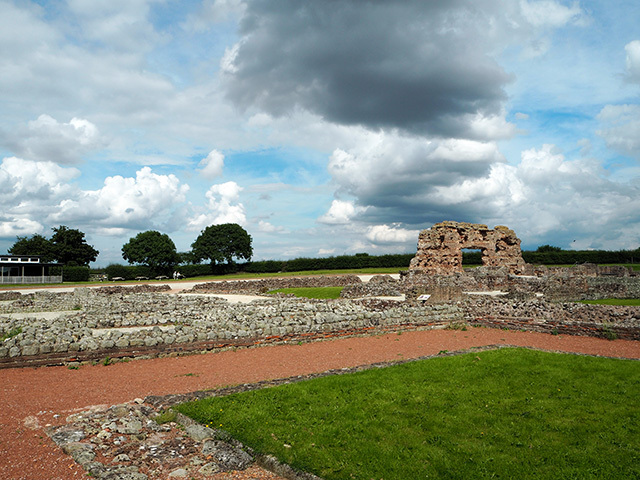 Wroxeter Roman City can be found 5 miles south-east of the Shropshire town of Shrewsbury, not far from Attingham Park. When we finally arrived at Wroxeter Roman City, we were greeted by a decent sized car park (with parking for 25-30 vehicles). Entry to the English Heritage property is via the shop and museum. The shop has plenty of souvenirs and history books, as well as hot & cold drinks (and ice creams in the summer). There are two areas containing picnic benches, so you are very welcome to take your own food to the site. 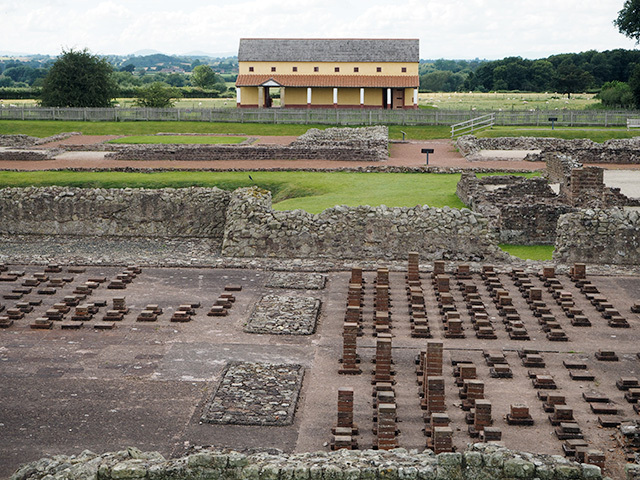 The small museum tells the history of Wroxeter, including the time before the Romans arrived. There are also artefacts from site excavations on show. 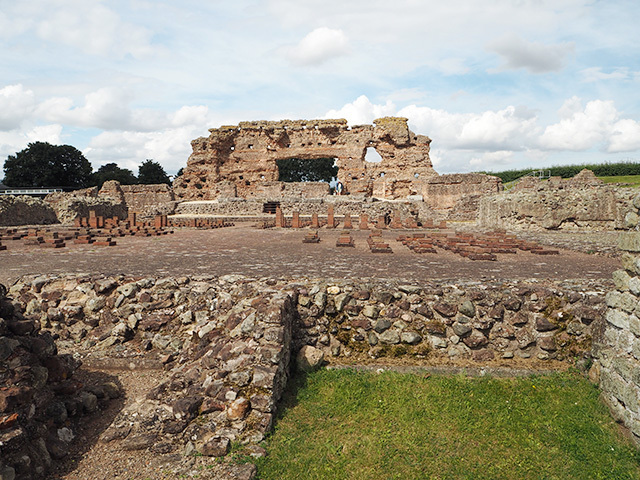 Wroxeter was once the fourth largest settlement in Roman Britain, now it is just a small rural village. Only a small part of the roman city has been excavated, but what I find amazing is the iconic Old Work. 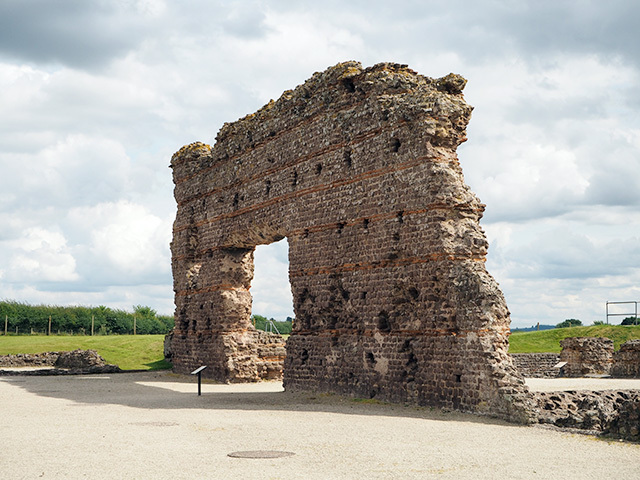 The Old Work is a 7 metre high basilica wall which still stands after all this time and is the largest piece of free-standing Roman wall in the country. I guess its rural location is one reason this has remained standing. Although some stonework from the old Roman city has been reused in the building of the local parish churches of Wroxeter, Atcham and Upton Magna. Across the road from the excavations is the Roman Town House. 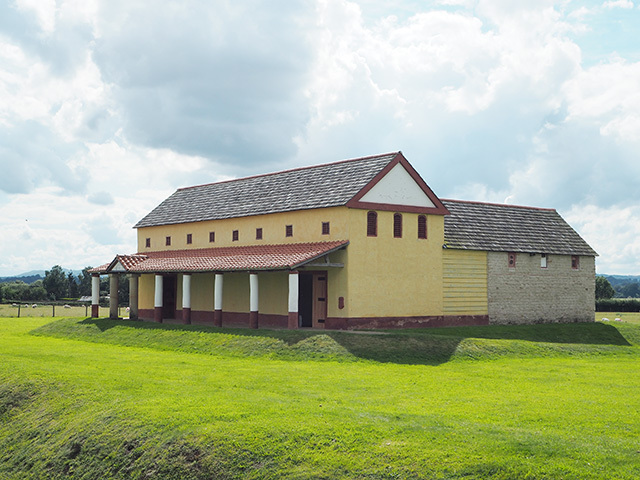 It is a reconstructed high-status Roman Town House and was built in 2010 as part of a TV project with Channel 4. The builders used a manual about Roman building written by engineer Vitruvius around 2,000 years ago. The design of the house was inspired by an actual building which was excavated at the site and built using Roman construction techniques. 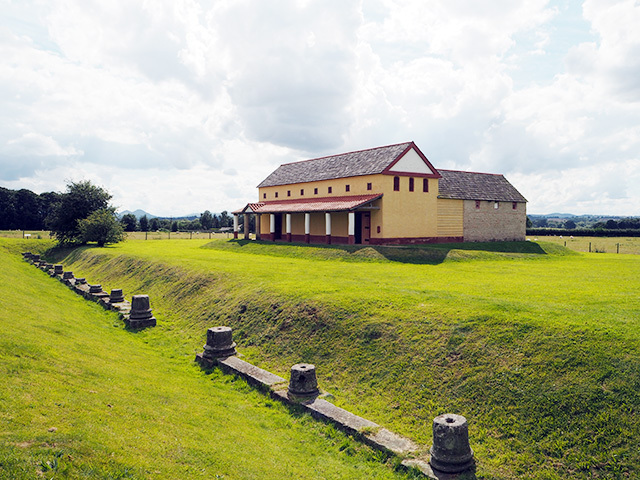 Wroxeter Roman City is open every day of the week between March and October, but only on weekends between November and March. Entry is £6 for adults, but free for English Heritage members. After leaving Wroxeter Roman City, we headed home. After all, it had been a busy day visiting Moreton Corbet Castle, Haughmond Abbey and going all around the Wrekin! Tagged english heritage, excavations, roman city, ruins, shropshire, travel, wroxeter. How interesting. The Romans certainly knew a thing or two about building things to last, I think the builders we have these days could learn a thing or two from them. British history and Roman history are both favorites of mine and combining the two in Roman Britain is even better. 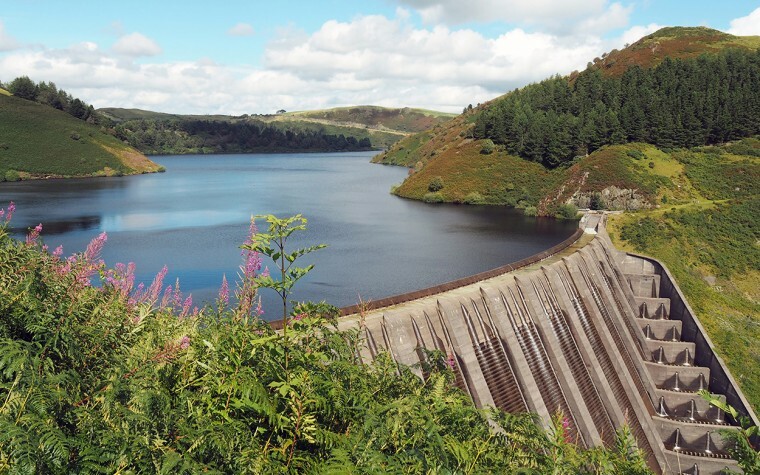 That recreation project and how it was done is fascinating! You have some great EH places to visit around you area without having to travel too far. We have a few down this way, but on the whole thay aren’t in nearly such good condition and we haven’t been too tempted to go for EH annual membership. Lovely shots! That town house is beautiful. Hi Nikki, the wrong way trip down the A5 must have been terrifying. I’ve heard the expression around the Wrekin but had no idea where it originated from, thanks for clearing that up. 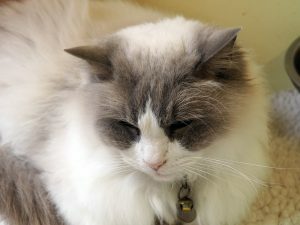 This is a really interesting post about a fascinating place. Thanks for sharing. I’ve had the pleasure of going to Attingham Park but not to this Roman city; although I did watch the TV show on channel 4. It is definitely on my list of places to visit.